The existing Butler A. Jones House of Black Culture will soon give way to a new building on the same lot. 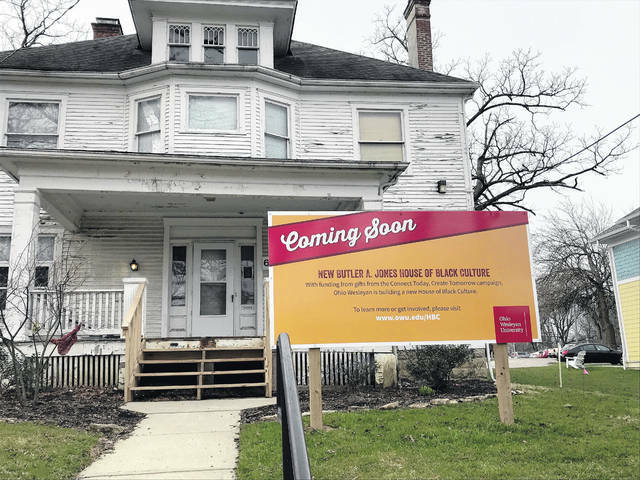 Ohio Wesleyan’s House of Black Culture, long in need of a makeover, is set to get just that as the Delaware Planning Commission approved the school’s combined preliminary and final development plan on Wednesday night. The current house, on 65 Oak Hill Avenue, will be demolished to make way for the new building, which will be built in the same location. Not changing locations was important to the students. “We wanted to maintain several features of the current house because the population there has quite the attachment to them,” said Peter Schantz, Director of Physical Plant at Ohio Wesleyan. Some of those features include the color of the house, which is white, as well as the spacious front porch. The existing building houses 12 residents, as will the new 36,000-square-foot home. Black students first began using the house in 1971 “out of the need to experience a sense of a collective identity that could not otherwise be felt on a predominantly white campus,” according to the school website. The house’s official name was changed to the Butler A. Jones House of Black Culture on Oct, 22, 1994. Jones was a professor at Ohio Wesleyan for 17 years in the 50’s and 60’s, eight of which he spent leading the sociology department. He also founded and served as president of the American Association of Black Sociologists and submitted 10 briefs to the United States Supreme Court in cases involving equal treatment of all citizens. A $1.25 million budget was approved by the Ohio Wesleyan Board of Trustees in February of this year. Ed Haddock, along with his wife, Edye, and son, Ted, made a $300,000 donation on behalf of the Edward E. Haddock Jr. Family Foundation in 2017 to start the fundraising initiative. Work is scheduled to begin in early June and should be completed by the end of November. https://www.delgazette.com/wp-content/uploads/sites/40/2018/04/web1_image1.jpgThe existing Butler A. Jones House of Black Culture will soon give way to a new building on the same lot.